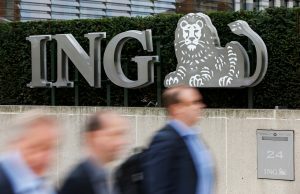 ING may have taken a sniff at Commerzbank, in talks to merge with Deutsche. Shareholders won’t relish a healthy Dutch bank chaining itself to an ailing German one. But it’s a chance for Commerz to appear in demand, and for ING to troll local politicians about rigid bank rules. The German stock exchange operator has confirmed negotiations to buy foreign exchange businesses from Refinitiv. CEO Theodor Weimer could afford to spend around 1.5 billion euros and stay within his debt target. A bigger outlay could mean shareholders stumping up. The lender joined a celebrity-led boycott of the Dorchester chain after its owner implemented the death penalty for homosexuality. Shunning the sultanate has few costs. But Deutsche will now have to explain relations with countries with similar laws where it has more to lose. The Italian lender is considering a bid for 9 bln euro Commerzbank if talks with rival Deutsche Bank fail, the FT says. A combination with UniCredit’s German arm makes sense but would leave Deutsche weak at home. That redoubles pressure on the government to back a domestic deal. The chemicals maker has lost 40 bln euros in value since U.S. juries said its glyphosate herbicide causes cancer. With science on Bayer’s side, delaying any settlement makes sense. But the longer the German group’s shares remain low, the more vulnerable it looks to interlopers. Deutsche Bank could in theory buy Commerzbank without breaching its 13 pct equity target. That requires the benefit of the doubt from regulators on merger costs and accounting, and assumes no changes to Deutsche’s investment bank. Raising more cash undermines the deal’s benefits. More than a year after acquiring almost 10 percent of the German carmaker, Zhejiang Geely Chairman Li Shufu has two small joint ventures to show for it including the latest to produce compact cars locally. He is known for taking a long view but meaningful cooperation looks hard. The 15 billion euro payment group’s shares rose more than a quarter after a review found no evidence of any misconduct that would have a material financial impact. Its valuation is now uncomfortably close to sector stalwarts Visa and Mastercard. A bigger discount is merited. The German lender has nearly doubled management pay to 56 million euros due to higher variable pay. The group bonus pool shrank but is more than six times 2018 profit. If unions were irked by job cuts that a proposed merger with Commerzbank would bring, this will incense them. Putting Deutsche and Commerz together might create a national banking champion. A more likely outcome, though, would be a poorly performing behemoth. Meanwhile, Volkswagen boss Herbert Diess commits the mother of all CEO gaffes. Plus: sizing up a Chinese housing unicorn. Berlin wants a merger of Deutsche Bank and Commerzbank to protect two flagship companies. Its second- and third-biggest carmakers would be a better pair, and might actually strengthen each other. The risk is that shareholders and policymakers only realise when it’s too late. The German chemical group’s shares fell another 12 pct after a second U.S. jury said its Roundup weed killer causes cancer. Its value is down $34 bln since August and investors reckon its crop sciences unit is worthless. With thousands of cases pending, even that may be generous. Commerzbank counts Goldman Sachs as an adviser. Paul Achleitner, chairman of partner Deutsche Bank, worked at the U.S. firm, as did Germany’s deputy finance minister. Cerberus President Matt Zames, formerly of JPMorgan, is advising Deutsche. The deal owes much to American nous. If merger talks lead to a deal, Deutsche could cut costs at its German rival by 40 percent. That would boost returns on equity in the retail unit to an acceptable 8 percent. But a union does little to address Deutsche Bank’s main problem: how to revive its ailing investment bank. Herbert Diess apologised for evoking a Third Reich slogan via the pun “EBIT macht frei”. Given the gravity of the subject and VW’s dark history, it’s hard to imagine a bigger self-own. In a competitive field of foot-in-mouth bosses, Diess has effortlessly claimed pole position. The German carrier will have to fork out an extra 650 mln euros on fuel this year. With revenue barely growing, CEO Carsten Spohr will have to squeeze other costs, including staff, to maintain altitude. A leaner Lufthansa will add to the pressure on industry laggard Air France. A year after a 17 bln euro asset swap, the German utilities’ deal is in Brussels’ antitrust sights. It’s more an issue for E.ON, which may lose out if forced disposals erode hoped-for cost savings. RWE, meanwhile, seems to have chosen the right time to bulk up in renewables. Merging the two sickly lenders would give the bank run by Christian Sewing access to Commerzbank’s deposits, and cheaper funding. But he might need to raise fresh capital. While shareholders may have to wait for a decent return, bondholders can hope for immediate gains. Germany’s largest bank, worried that BNP Paribas was coveting its quarry, Commerzbank, gave CEO Christian Sewing a mandate to discuss a tie-up three weeks ago. A nationalist sop might lubricate a deal with German policymakers. But it won’t change the underlying economics.